Create the perfect pretty look this spring summer in these lazer cut boots. 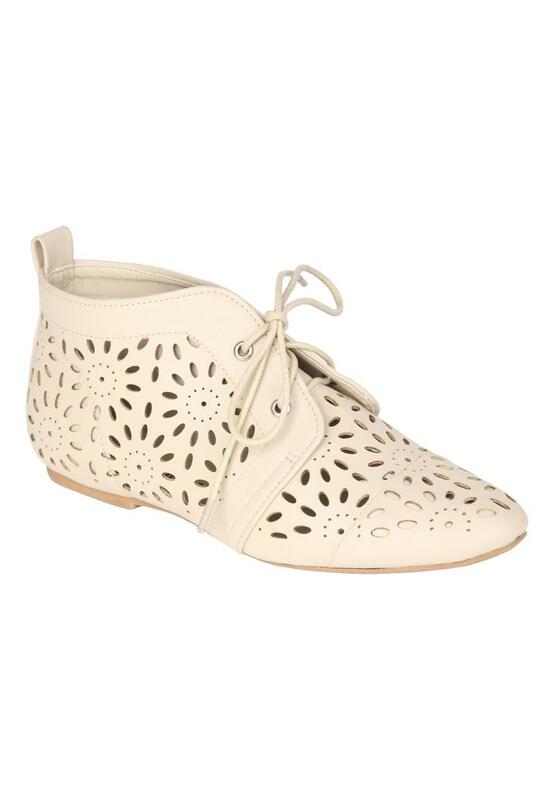 With an all over lazer cut flower style design, flat soles and lace up front. These are the perfect little boots to wear with floaty tea dresses and cats eye sunglasses.